Bill Davie at the KTRT Merc Playhouse in Twisp. At The Merc Playhouse. 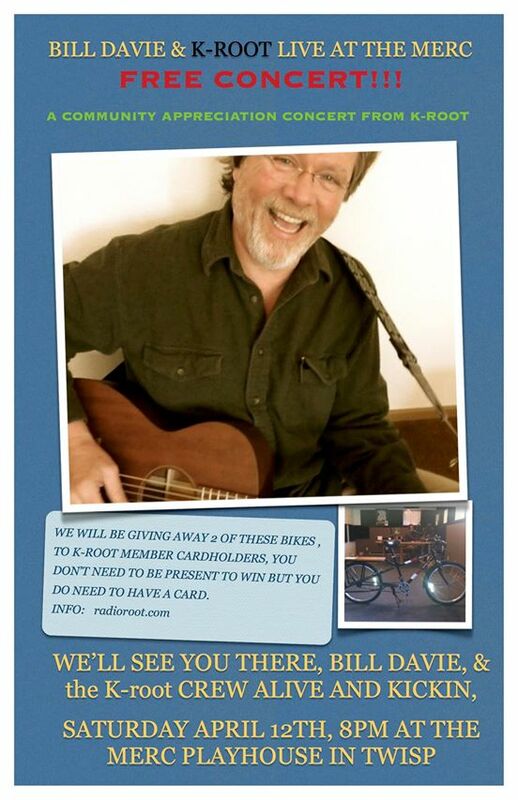 An appreciation concert for K-Root listeners with Bill Davie as the headliner. Also, if you’re a KTRT Founder Cardmember you will automatically be entered to win one of “two” MercyCorp Cargo bikes. Keep your eyes peeled for more details.